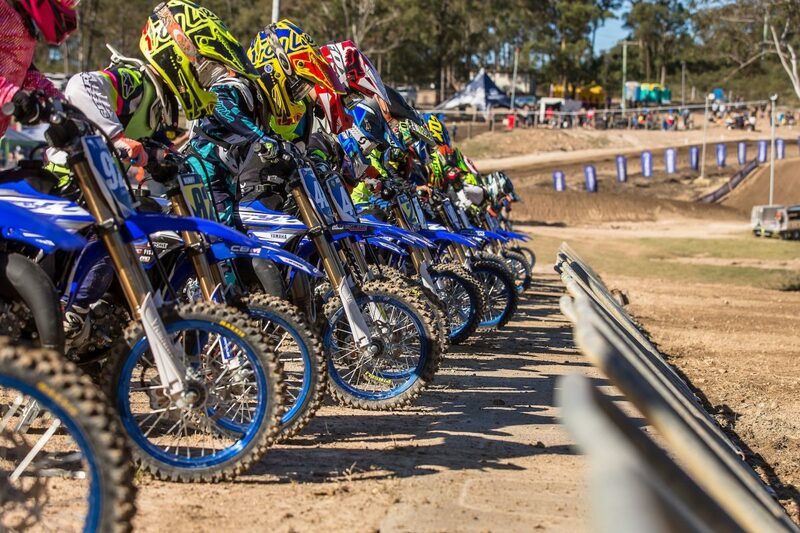 Junior YZ65 Cup racers lining up at the start gate at MX Nationals Ranch MX NSW round earlier this year. 20 young riders will have the chance of a lifetime when they line up behind the gates at GMHBA Stadium Geelong for Round 3 of the Australian Supercross Championships, presented by Yamaha Motor Australia (YMA). YMA has confirmed the Geelong Round will be the first supercross to host the YZ65 Cup, where junior riders will have the opportunity to compete at a national level event followed by Round 4 Port Adelaide. “We are pleased to be able to provide the opportunity for junior girls and boys to enjoy our events as much as we do, and to be able to ride a Supercross track within a venue like GMHBA Stadium in front of thousands of fans is sure to help with the future of the sport,” Bayliss said. “Imagine being an eight, 12 or 16 year old, your name is in the program and your set up within the pits next to all the Australian factory teams plus the Internationals who are here to race for the championships. Then to line up on the grid and look out to thousands of spectators, it will make the hairs on their neck stand up, even if they don’t any,” added Bayliss. “Our first YZ65 Cup events at Ranch MX and Coolum were a huge success with parents and kids enjoying the full bLU cRU treatment, and to see so many happy faces and positive feedback from all involved has really underlined the fact that Yamaha is on the right track with creating these money-can’t-buy experiences for our youngest bLU cRU riders,” Ferry said. “We look forward to continuing the experience at Geelong and beyond,” added Ferry. Round 3 of the Australian Supercross Championship is at GMHBA Stadium Geelong on Saturday, October 13, followed by Round 4 at Gillman Speedway in Port Adelaide on October 20. Tickets to both rounds are available now via www.AustralianSupercross.com.au and fans are urged to hurry before they sell out. 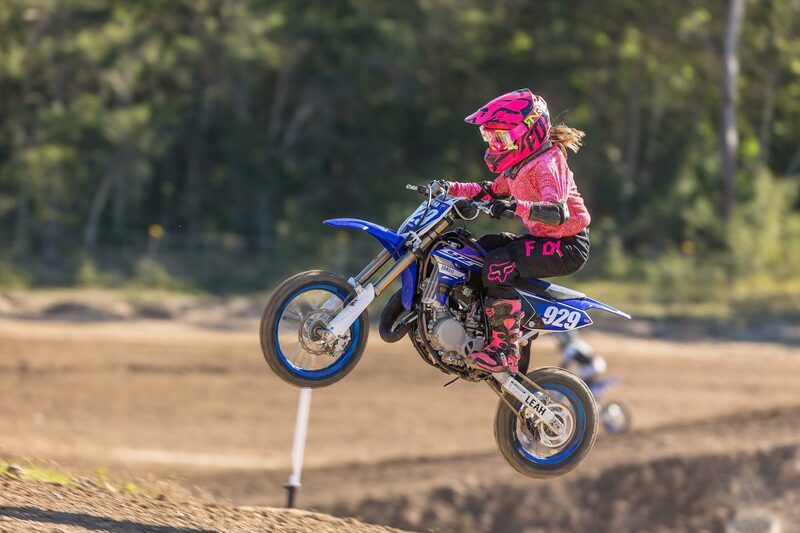 Junior YZ65 Cup racer Leah Rimbas at MX Nationals Ranch MX NSW round earlier this year.